What's unusual isn't the size of the cuts but the timing, Nikkei sources noted. Contracts would normally be renewed every month between August and mid- to late January, so dismissals before the end of the year are "quite different," one source said. Similar layoffs are happening at other companies in the iPhone supply chain, such as at fellow assembler Pegatron, which began terminating monthly contracts in November. A source close to Pegatron said that standard practice is to scale a 200,000-strong workforce back by tens of thousands each month until hitting a 100,000 minimum, but in 2018, the process began sooner. A Shenzhen-based parts supplier is even said to have asked 4,000 workers to take a "vacation" between October and March, at which point it will decide whether or not to begin layoffs. Foxconn's cost-cutting efforts are said to be going a step further, with restructuring merging the division responsible for MacBooks and iPads with a unit building Dell and Acer PCs. 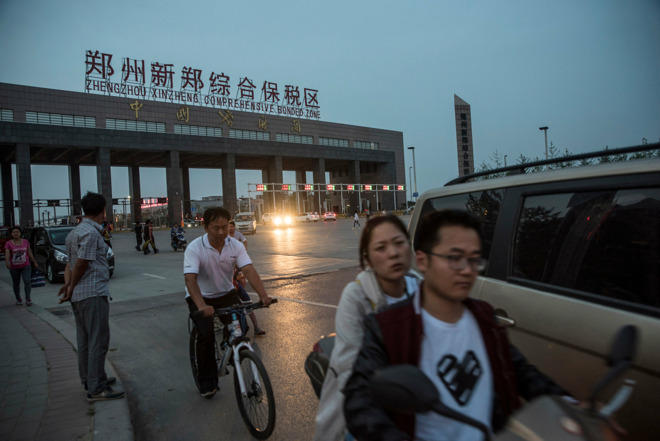 "Previously, each business unit had its own supporting staff, and by merging business divisions, Foxconn can slash some 50 percent of those supporting jobs and even condense managerial positions too," one source said. Apple recently warned about a $5 billion revenue shortfall for the December quarter, something it linked directly to poor Chinese iPhone sales. It put lesser blame on other markets, as well as factors like "foreign exchange headwinds," fewer carrier subsidies, and discounted battery replacements, which were 11 times more than the company had counted on. Some critics have pointed the finger squarely at Apple's pricing strategy. While the company has enjoyed high profit margins by targeting the "premium" market, Chinese brands like Huawei and Xiaomi now have quality phones that sell for much less than Apple's.